Our office is not only known in southwest Georgia, but all over the state and southeastern United States. Our referrals have come from as far away as South America, Europe, and Asia. 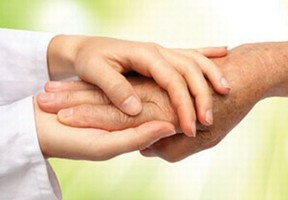 We pride ourselves in "quality first" when treating our patients. With digital radiography, cone beam CT scans, microscope technology, ultrasonic instrumentation, and a complete paperless office, we set the standards for future offices. This cutting-edge technology allows each patient to receive the best possible care in a relaxed and compassionate environment. The gold standard of treatment involves the use of a surgical operating microscope. This microscope provides optimum visibility and illumination, making it a necessary component of endodontic treatment, including during standard root canal therapy, retreatment procedures, or surgical apicoectomies. By utilizing this specialized resource, Dr. Carlon Sr. and Dr. Carlon Jr. can preserve more natural tooth structure, essential to the best, longest-lasting outcome and to minimizing healing time. Use of a microscope can help the clinicians to find difficult to locate canals, such as MB2 in first molars. The microscope can also help to identify contraindications to treatment such as vertical root fractures. 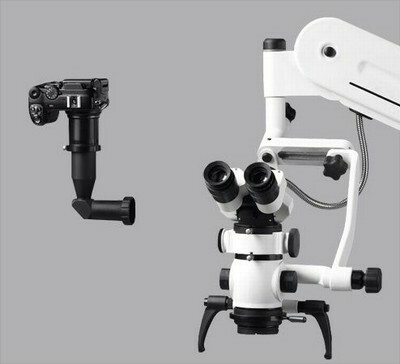 Additionally, the installed microscopes allow for the capture of digital pictures during the procedure for patient education, using the attached DSLR cameras. These microscopes will even allow for the documentation of the procedure via digital recording. The high resolution digital photographs taken through the microscope during your consulation and throughout the procedure will allow you to better understand your dental needs, which is essential for successful treatment and the creation of a beneficial and unique doctor-patient relationship. Ultimately, the use of a microscope/camera combination enables us to obtain the best treatment result possible, while at the same time letting us teach you about your dental needs. Carlon Endodontics utilizes the latest in digital radiography. The cutting edge sensor is offered in a size 0 designed specifically for comfort with rounded edges and the smallest footprint available. 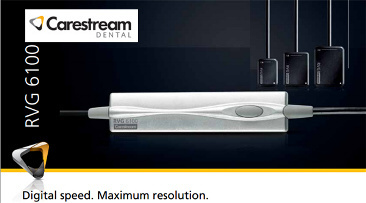 Featuring a lightning-fast USB 2.0 connection, the sensor produces crystal-clear images in a snap, giving instant access to high quality intraoral images. The sensor offers very high sensitivity with up to 40% less x-ray exposure times when compared to size 1 sensors and up to 80% less exposure times when compared with traditional dental x-rays. 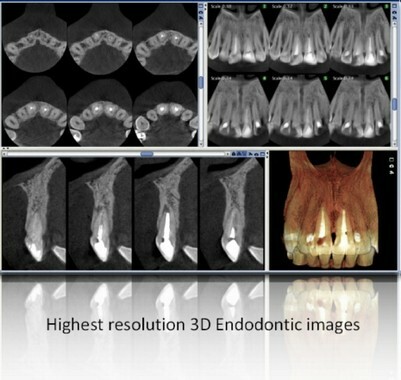 By being the first endodontic office south of Atlanta to utilize Cone Beam CT technology, Carlon Endodontics provides unparalleled care to each patient. When necessary, the use of the Kodak 9000 3D scanner allows for the capture of high-quality, three dimensional images of the tooth and surrounding bone in question. This provides for better detection, localization, and treatment of endodontic cases. With our patients in mind, our system utilizes 80% less radiation than that of a traditional x-ray series, but provides far more detailed and useful information. For example, the Cone Beam CT can reveal missed canals that require retreatment or localize endodontic abcesses allowing an exact surgical approach to be planned. This type of technology can result in avoiding unnecessary treatment in some cases, and create more efficient and inexpensive treatment options in others. Dr. Carlon has eliminated paper from the office, entirely. With the environment in mind, the office is completely digital and more efficient. This cutting-edge computer software allows you to complete registration materials from the convenience and comfort of your own home via our secure, fully-encrypted website. It also allows your general dentist to check updates on your treatment instantly at any time that is convenient through this secure and efficient manner.